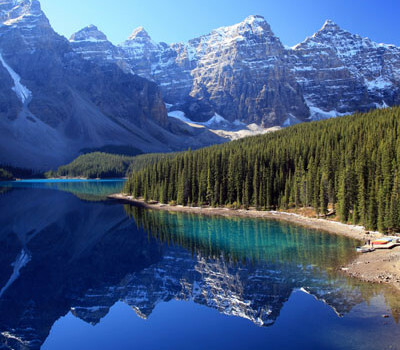 Banff is the crown jewel in Canada’s national park system and home to the world’s most photographed lakes. Lake Louise, Moraine Lake, and the Icefields Parkway are just some of the park’s awe-inspiring highlights. Biking along the shoreline of Lake Minnewanka, exploring Larch Valley when fall colors are at their height, canoeing across Bow Lake, and hiking in to backcountry Mount Assiniboine Provincial Park may not be as well known, but each activity allows a glimpse of the park you won’t see in the tourist brochures.